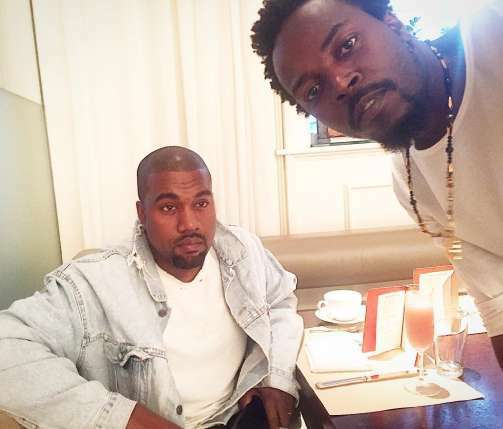 Kwaw Kese meets Kanye West — should we expect a collabo? I found it a good news when Ghanaian multiple award-winning rap artiste, Kwaw Kese, shared a photo he took with American rap superstar, Kanye West. The rapper posted the photo today, June 6, on his Twitter and Instagram pages with the hastag, #MakingMoves (making moves). He also said Kanye is the “coolest dude”. According to Kwaw, they met at The Mercer Hotel in New York City where they reportedly took the photo together. I don’t want to read meanings into the photo Kwaw Kese shared but from all indications, the “Yakubu” hitmaker is making some moves beyond the shores of Ghana. Though Kwaw Kese might be churning out more local successes (in terms of producing hit songs), he has collaborated with other top international stars. He has hit records with South Africa’s Professor Jay and Nigeria’s Brymo. Aside Kwaw Kese, the likes of Sarkodie, R2Bees, Shatta Wale, Samini, E.L, M.anifest, Fuse ODG and Stonebwoy have brought top international stars into the Ghanaian music industry. They brought stars like America’s Ace Hood, Wyclef Jean, South Africa’s AKA, HHP, Nigeria’s Olamide, Wizkid, Ice Prince, Burna Boy, 2Face, Yemi Alade, M.I and Jamaica’s Alkaline into this country. Though Kanye West hasn’t expressed his love for Ghana and our music, he might be the next to be added to the list above. And if it happens, it will be a great add up to the vibrant list as well as the industry. Let’s hope this happens! Let us have your views below.